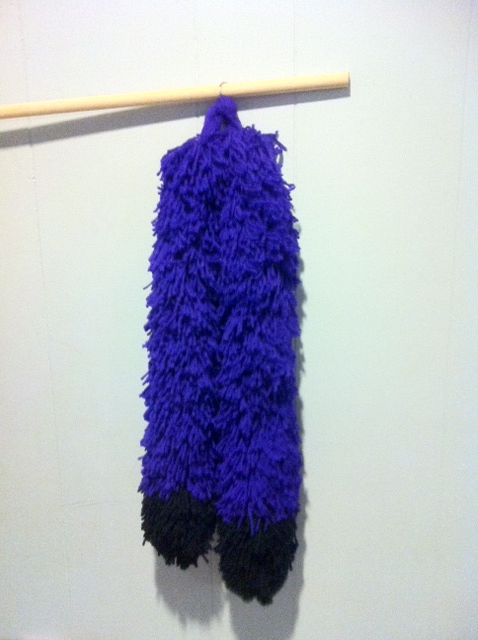 A yarn tail I'm making based off my character Yasai. She is a twin tailed purple fox. As you can see my camera decided to make the purple more of a blue. Whatever though. Still looking good for something only half done. This has all been made as if it were one tail. They both share the same base and attachment.